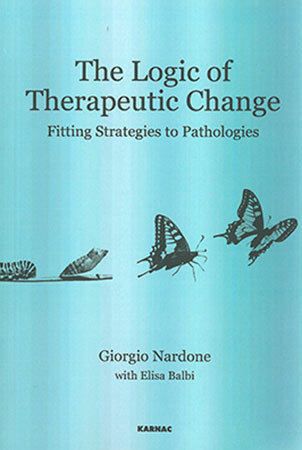 In 1993 Giorgio Nardone and Paul Watzlawick published The Art of Change: Strategic Therapy and Hypnotherapy Without Trance, a revolutionary work that introduced a series of effective clinical strategies to create therapeutic change, even in seemingly impossible cases. In his new book, Giorgio Nardone performs another quantum leap, leading his readers to a more operative knowledge of the precise logic of therapeutic change. Most intimidating mental disorders are based on perceptions of reality that when using an ordinary ‘common-sense’ logic as our reading lens, look as if they are irrational, bizarre, illogical and therefore hard to understand and manage. Yet if we can follow the patient’s own logic, which is definitely a non-ordinary logic, we can come to recognise the ‘rules of the game’, a game that we can actually ‘play and win’. In his exciting new approach, Professor Nardone shows that by understanding the non-ordinary logic of a problem (which is often based on the logic of belief, paradox and contradiction), we can come to choose the best strategies to bring about effective change.